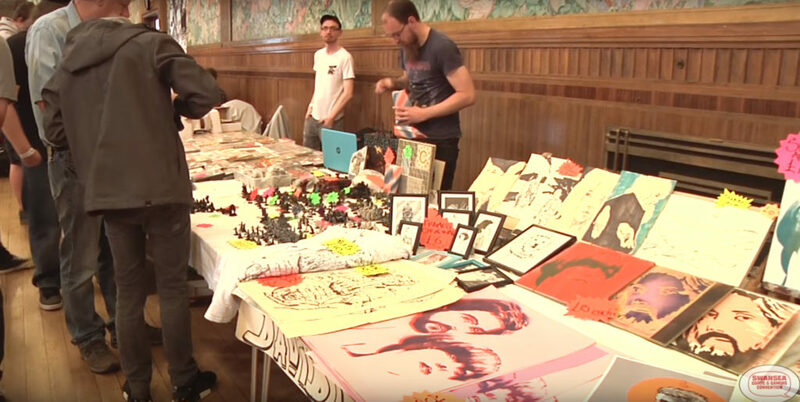 Swansea Comic and Gaming convention is the brainchild of Ricky Webber (a writer for the Swansea Comics Collective) and Simon Kendrick (owner of The Gamers’ Emporium). 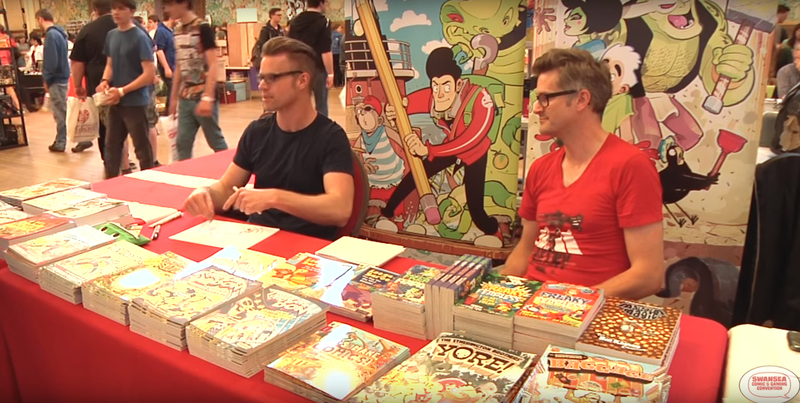 Tired of waiting for a convention to arrive that would appeal to comic book fans and gamers alike, Ricky and Simon decided to create their own. 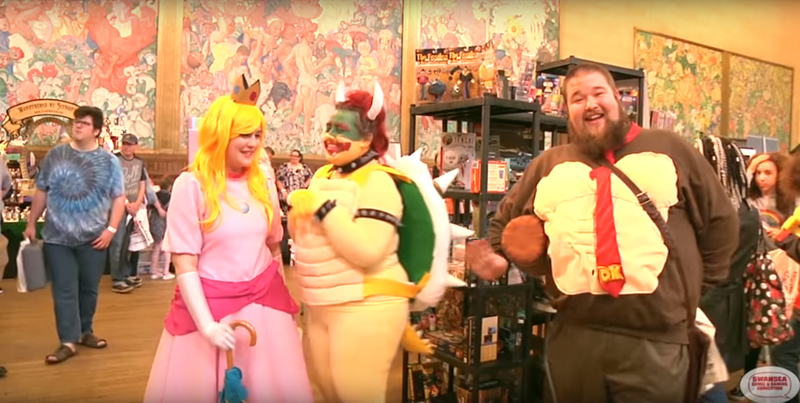 In late 2015, they set about planning the inaugural SCGC. On Saturday 27th May 2016 the first Swansea Comic and Gaming Convention was held at the Volcano Theatre on High Street. SCGC 2016 was a great success; filling the venue to bursting the entire day, with people queueing all the way up High Street, eager to get in. Nearly 1200 people descended on the venue. This was thanks to in no small part, the efforts of a team of enthusiastic volunteers roped in to help on the day from amongst Ricky and Simon’s friends, family, co-workers and customers. Following the success of SCGC 2016, Swansea Comic and Gaming Convention Limited was incorporated as a not-for-profit company, to ensure the continuation and legitimacy of the event, and Ricky and Simon set about doing it all over again – this time with fellow SCC writer Adam Wilmot joining the team of Directors. It was clear from the volume of attendees at the 2016 event, that the SCGC had already outgrown its humble beginnings and so, shortly after, the event was moved to its current home, the much larger Brangwyn Hall, located within Swansea’s prestigious Guildhall. In 2018 the Directors were bolstered by a planning committee of volunteers, each one just as enthusiastic about the event’s aims and ethos – a local convention, by genuine enthusiasts for genuine enthusiasts and focused squarely on promoting and celebrating all aspects of both comics and gaming. The event raised over £3000 for Blood Bikes Wales, and saw appearances by game designer Andy Chambers, artists Simon Bisley, The Etherington Brothers and Dylan Teague, musicians Captain Meatshield and Death Ingloria and an expanded selection of traders and free-to-participate games, demonstrations and panels. Pete (This Man, This Pete!) Taylor and Mark (Son of Ken) Hughes for their collective work on our art and design front. Extra thanks to Pete for his work on our website as well. Swansea Comic and Gaming Convention is a company registered in Wales (Company Registration #10357841). The Company is limited by guarantee and is a not-for-profit venture aimed at running an on-going series of conventions for the benefit of the Swansea geek community and to raise funds for selected charities. The Company’s Registered Office is 8 High Street, Swansea, SA1 1LE.